Citystay are Cambridge’s leading provider of Serviced Apartments. 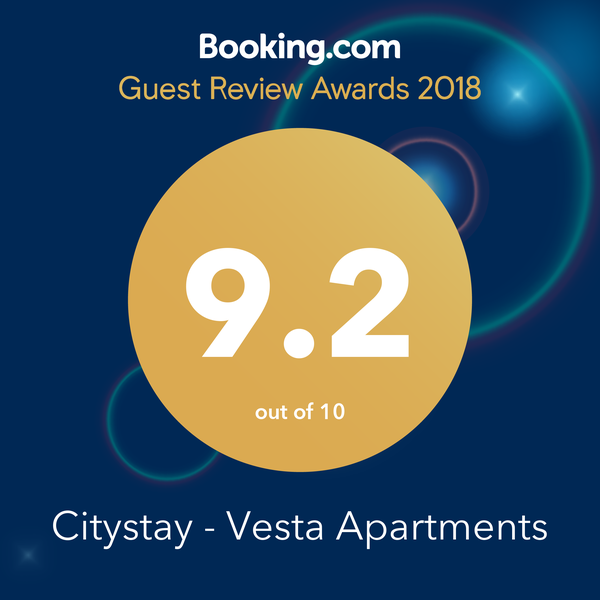 Take a look through the reasons why Citystay has developed a cherished reputation for being a best in class provider of self-catering accommodation. 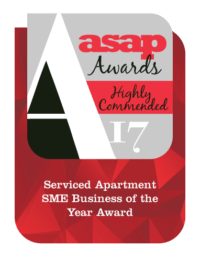 Citystay Serviced Apartments in Cambridge are the recipient of the Highly Commended SME Business of the Year award by the Association of Serviced Apartment Providers at their 5th annual gala dinner and awards evening. The criteria for the SME Business of the Year award included having a sound business plan and marketing strategy, combined with strong leadership and management skills, exceptional customer service, solid financial performance and clear unique selling points. 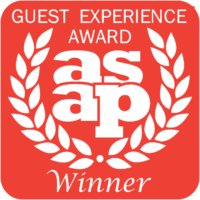 In 2015/16, Citystay were the proud winners of the inaugural Association of Serviced Apartment Providers (ASAP) Best Guest Experience for 2015/16. 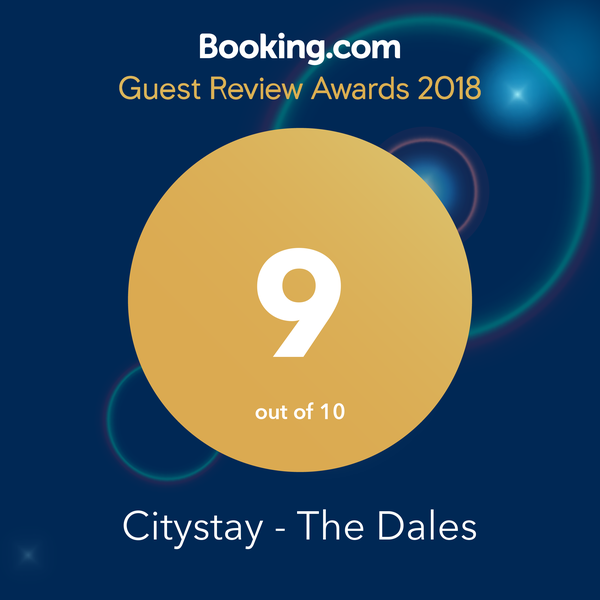 Citystay swooped the award from a shortlist 16 other, national and international providers who were shortlisted for the Guest Experience’ award. The criteria for the award was based on guest feedback and evidence of how Citystay ensure guests to our beautiful city enjoy the best possible experience, from initial contact through to check-out, and follow up. The evidence submitted alongside several guest reviews touched on how Citystay strive to put the needs of the guest first in all aspects of the business. Internet Access – Free unlimited high speed Wi-Fi. Digital Television – Digital Freeview TV. Free Punting – “You haven’t seen Cambridge until you have seen it from a punt” – Enjoy a free day punting on the River Cam as part of your Citystay experience. Welcome Packs – To help your stay get off to a comfortable start, we provide you with a complimentary welcome pack including milk, orange juice, mineral water, bread, preserves, butter, tea, coffee, sugar, biscuits, crisps and a selection of cereals, complimentary White Company toiletries, Egyptian cotton linen. Welcome Packs can be tailored to meet specific dietary or religious needs if necessary, at an additional cost. Sleep Well with Citystay – All our beds come with luxury Egyptian cotton linen, pocket sprung. As well as feather pillow and duvets. Non-allergy bedding can be arranged in advance. Weekly Maid Service – Each of our short stay apartments in Cambridge are serviced weekly. This includes a thorough clean and a full towel and linen change. Orientation Pack Tablets – Information is provided particular to your self-catering apartment, literature on local amenities, events, attractions, restaurants, meal delivery, entertainment, transport, useful contact details and a complimentary map can be found in the apartment on our in apartment tablet devices. 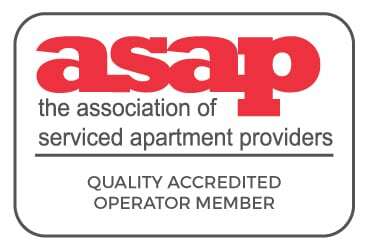 When you stay in our Cambridge self catering serviced apartments, you can expect comfort and excellent hospitality. Upon arrival, a Cambridge Citystay representative will be on hand to greet you, ease your orientation, and answer any questions you may have whilst showing you around your self catering apartment’s rooms and facilities. Each of our short stay, serviced apartments in Cambridge are equipped to a high standard including a TV, DVD, iPod dock station, iron with ironing board and hairdryer. Self-catering and entertaining are made easy with kitchens equipped with a washer/dryer, a fridge-freezer and a dishwasher. Digital Television: Free Digital television. Internet Access: Free broadband internet access. Maid Service: Each of our short stay apartments in Cambridge are serviced weekly. This includes a thorough clean and a full towel and linen change. Additional maid services are available on request and is charged at £50.00 per clean. Welcome Packs: To help your stay get off to a comfortable start, we provide you with a complimentary welcome pack including milk, orange juice, mineral water, bread, preserves, butter, tea, coffee, sugar, biscuits, flapjacks, crisps and a selection of cereals and complimentary White Company toiletries. A hamper tailored to your specific needs can also be arranged at an additional cost. Sleep Well: … in luxury Egyptian cotton bed linen. Citystay use feather pillow and duvets. Non-allergy bedding can be arranged in advance. Additional Bedding sets required are charged at £25. Babies and Toddlers: Citystay will always meet your requirements, should you need a baby cot or high chair for example, please let us know in advance to ensure that your requirements are met from the moment you arrive. Orientation Pack: Information is provided particular to your self catering apartment, literature on local amenities, events, attractions, restaurants, meal delivery, entertainment, transport, useful contact details and a complimentary map can be found in the apartment. Free Punting: “You haven’t seen Cambridge until you have seen it from a punt” – Enjoy a free days punting on the River Cam as part of your Citystay experience. Pick up & Drop Off: Citystay offer a pickup service from all local and London Airports and train stations at competitive rates. A drop off service is also available. Prices available on request. Special offers: Discounts are available for Citystay guests at some Cambridge attractions, restaurants, and gymnasiums,please contact our reservations team for more information. Additional Beds: are available on request at a supplement of £15 per night for a single bed (minimum charge of £50 applies) and £25 per night for a double bed (minimum charge of £75 applies) These prices include additional bed linen and towels. Additional Housekeeping Services: Available on request and is charged at £50 per clean. Additional Bedding: Sets required are charged at £25. Additional Towels only: are charged at £12.50 per set per week. Luggage Storage: Citystay can arrange to collect store and return guests luggage if required at a rate of £15 for collection, £25 for storage of up to 4 cases for up to a week, £15 for delivery. Price on request for requirements for more than 4 cases. Air Conditioning: Air Conditioning units are available on request at a cost of £25 per week with a delivery charge of £30 applicable. All prices quoted are subject to VAT and VAT is charged at 20%. If you are interested in longer term accommodation in Cambridge – minimum 90 nights, then why not try our sister company Checked Inn. Checked Inn specialise in medium term accommodation in Cambridge.